There are many reasons that you need setup a payment test account on your Magento platform. For example, you need test your payment process before publishing your online store live. Besides, you may also want to verify if the FraudLabs Pro validation rules detect the fraud correctly. Or, perhaps to test for the order fulfillment, invoice printout and so on. In this tutorial, we are going to show you on how to setup the Paypal for your testing. Paypal allows user to test their solution by using the Sandbox account. The Sandbox account works exactly like the live account, except the actual payment will not be processed. You can sign up for a Sandbox account at https://developer.paypal.com/developer/accounts/ if you do not have an account. We will not cover the sign up tutorial and we assume you already have this account ready before continuing reading the steps below. Please take note that we are using the Magento version 1.8.1 for this tutorial. The screen captured may be different for other versions. 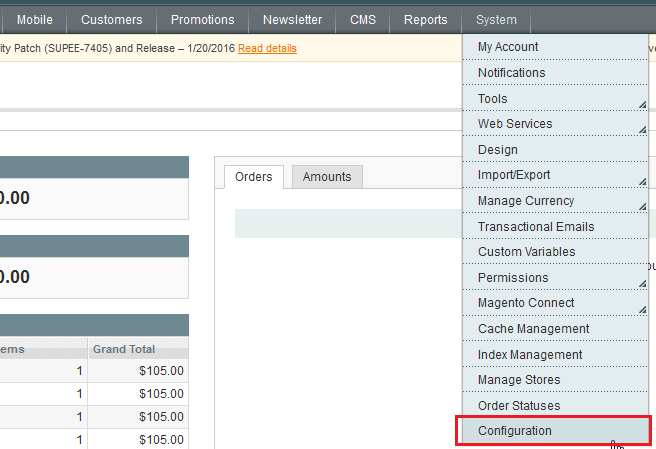 On the admin area, click on the System->Configuration menu. 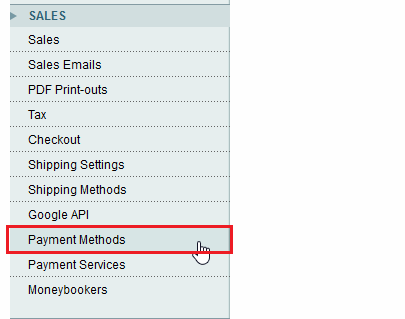 On the left-side panel, click on the Payment Methods under SALES section. 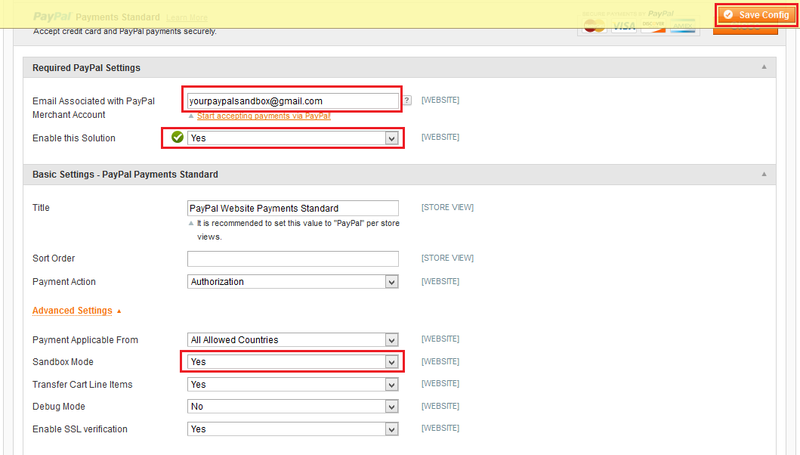 Click on the Configure button for the Paypal Payments Standard option. Enter your Paypal sandbox email, enable Sandbox Mode and enable the Solution. Once completed, click on the Save Config to save your settings. You shall notice a green tick icon in front of Paypal Payments Standard option. Done. You can now proceed to the frontend and start testing the payment cycle. Once you completed your payment testing, please be sure to fill the configuration with your live Paypal information.